Mario Badescu may be known as the brand that many celebrities have chosen. But it is perhaps with its success in fighting, controlling and preventing acne that one can best understand the effectiveness of the Mario Badescu pruducts. For severe cases of acne you are advised to consult a dermatologist. Acne (or acne vulgaris) is a common skin disease that can occur on many areas of the body and can develop at any age. Due to the high density of sebaceous follicles in the face, neck and back is where acne often occurs but can also appear in upper arms, scalp, shoulders. Characteristic for acne include areas of scaly red skin (seborrhea), black heads and white heads (commedones), pimples, and even scarring. 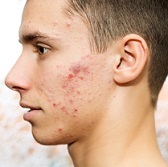 Although teen acne is common, acne can occur at any age – for most people acne dissapears by age 25. The good news is that with proper acne treatment and a good skin care regimen, it can be prevented and controlled. Acne occurs when the pores of the skin become clogged with oil, dead skin cells, and bacteria. Acne lesions are commonly referred to as pimples. Excessive secretion of oils from the glands combines with naturally occurring bacteria and dead skin cells to block the hair follicles. Oil secretions build up beneath the blocked pore, providing a perfect environment for the skin bacteria to form the pimple. The exact causes of acne are not fully understood, but it is generally accepted that some of the factors listed below contribute to the problem. This includes hormonal changes during puberty, pregancy and menopause. It is just a fact that acne tends to run in the family. Stress can trigger an increased release of hormones from your adrenal glands, which can cause acne to form. There are an assortment of medical problems which cause acne to develop: inflammation, skin irritation and scratching, hyperactive sebaceous glands, the accumulation of dead skin cells which block pores and cause sebum to build up, and bacteria in the pores. From the many studies which have been done, there is no conclusive evidence that diet and acne are linked. There are suggestions however that foods with high glycemic index (high in sugars) have a negative impact on acne. Likewise there are indications that dairy products may have a negative impact – the jury is still out but a speculation is whether the hormones given to cows are part of the problem. You could cut dairy to see if it helps you – you would need to find anther source for calcium such as almonds, walnuts, spinach, and kale. Research shows that foods high in fat cause stimulation in the hormone production and this hormone increase can be slowed by eating a diet of unprocessed, “clean” foods such as lean meats, fruits, vegetables, nuts and whole grains – a well balanced diet, which is not excessive in sugars and fats will be better for your skin! Sun exposure is not a quick fix or solution to acne and is detrimental to the health of your skin and body. Acne prescriptions can make skin much more sun sensitive so it is necessary to use a high sunscreen to protect delicate skin. The risk is you only make it worse by introducing dirt, spreading the acne, cause permanent scarring. Regular exfoliation is necessary to prevent pores from being clogged up with dead skin cells which in turn will prevent pimples from forming. However, scrubbing on openly erupted skin is a no-no. 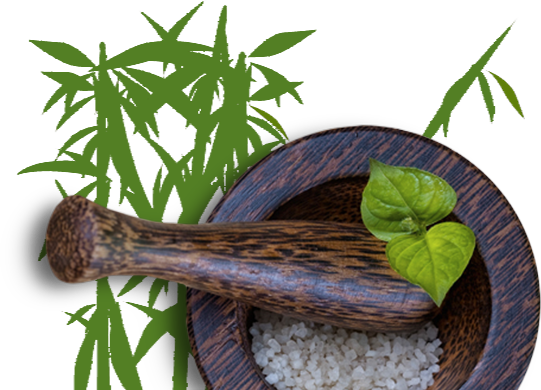 Grains in exfoliating products can burst open the small pimples and spread the bacteria around the face. Stimulating oily skin can also cause the oil glands to go into overdrive. Acne is not a skin disease caused by poor hygiene. Excessive cleansing with high detergent products can stimulate the oil glands, causing more congestion and pimples along with possibly dryness and irritation. Hot water can damage delicate capillaries in the skin causing a red, blotchy look as well as stimulate oil glands into overdrive. Tepid water for a thorough rinsing is always best. All skin needs moisture, acne treatments will often dehydrate the skin. A non-oil moisturiser with sunscreen is the best choice for acne prone skin.